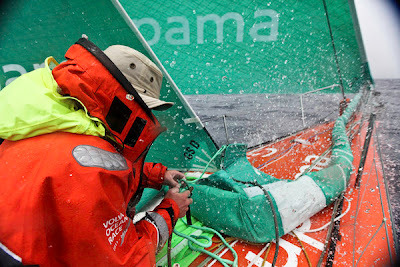 After an ugly night bashing across the Agulhas Current, the Volvo Ocean Race fleet is now faced with another dilemma. It is the windless trough between the two low-pressure systems, which have threatened, but not yet evolved into one. It is now a race to get through the light and fluky winds of the trough and reach the new northerly breeze of the second front. “It’s the key to the whole leg,” says Abu Dhabi Ocean Racing skipper Ian Walker, whose yacht Azzam has been jostling for the lead on and off all day today and is currently placed second. 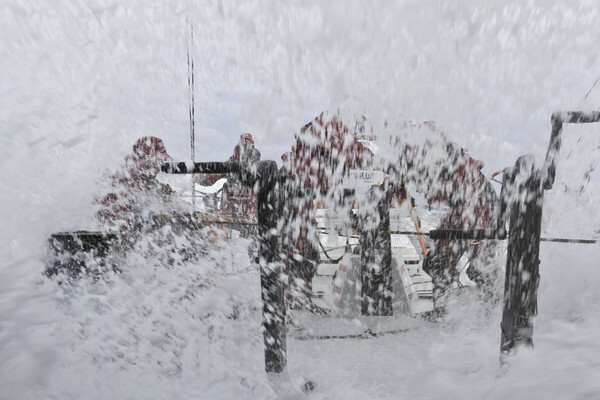 “It’s about who can get through this trough in the best shape. If we can get to the trough, then we will have good northerlies and we will be fast all the way into the high pressure, the ridge of high pressure known as the Indian Ocean high. If we can’t, then we are going to sit here for days bashing up against it,” Walker said. It was during this leg, three years ago in the previous edition that three teams including both Team Telefónica boats detached from the fleet and stayed north. 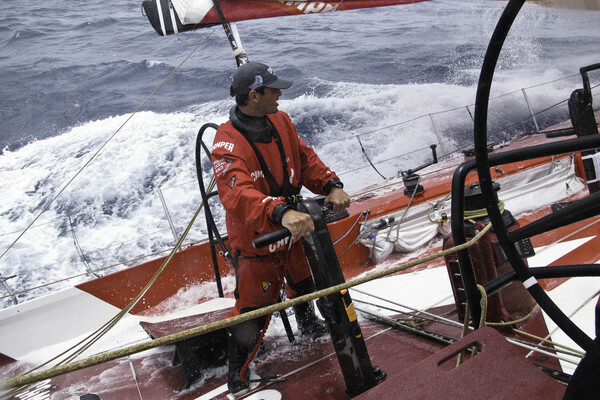 History repeats itself now when, once again, there is a substantial split in the fleet and the overall race leader Team Telefónica (Iker Martínez/ESP), is 150 nautical miles further to the north. 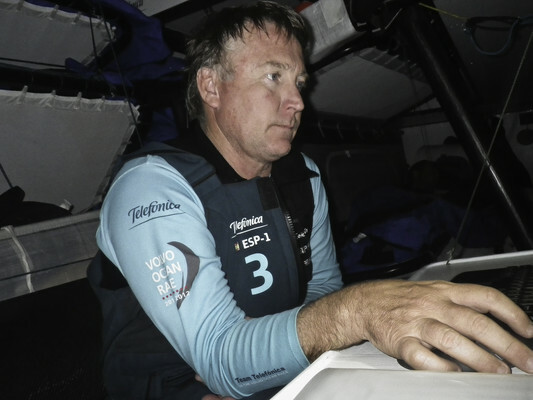 The team’s navigator, Andrew Cape, made the same move three years ago when navigating PUMA’s il mostro, and today at 1600 UTC, Telefónica became the new leg leader, with an eight-mile lead over Abu Dhabi. 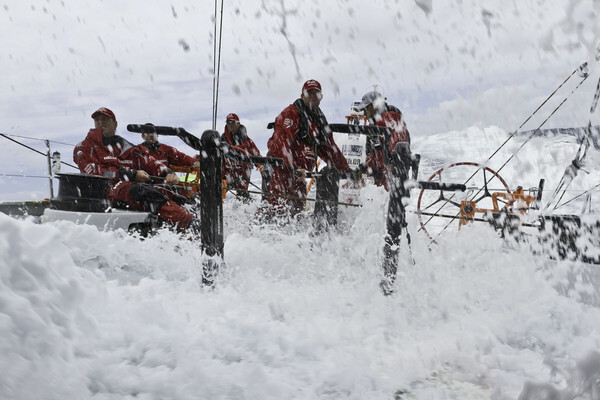 The positions remained unchanged at 1900 UTC, except for CAMPER with Emirates Team New Zealand (Chris Nicholson/AUS) who have suffered some losses in the last three hours. 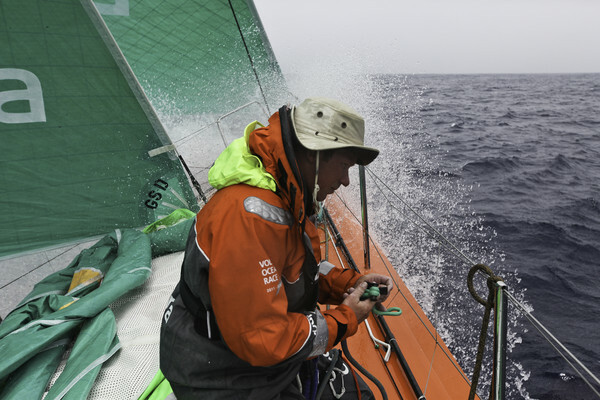 Discussing tactics, helmsman Charles Caudrelier said the crew of Groupama 4 (Franck Cammas/FRA), were going to heed the old adage, ‘if you don’t know where to go in the Atlantic, you have to go west; and if you don’t know where to go in the Southern Ocean, you have to go south’. 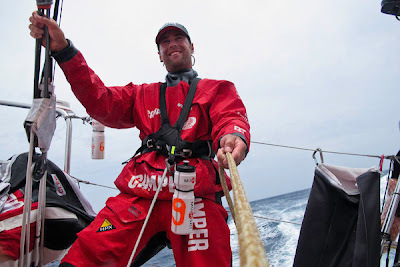 “We got that wrong on the first leg and we will respect it this time,” Caudrelier said. Groupama 4 is the yacht furthest south and clearly taking that adage very seriously.